A trade or consumer show is a hub of activity where you can meet customers, buyers, and a whole host of interested parties. To maximise the opportunity and get a good return on the time and money investment, make sure to plan effectively and put a strategy in place. Whether you have bought a 3x3m or a 6x6m stand, you should utilise the space efficiently. That can mean using space above the stand as well as the shell scheme itself, for example, attach bunting or décor at the top where people from across the room will be able to see it. Consider modular units for easy set up and good lighting to brighten the space and invite people in. Get creative by using spotlight, neon or whatever works for your brand. Crucially, make your brand easily identifiable by using bold brand colours. Often, bold, simple messaging is better than a cluttered stand. Make your space enticing and showcase your product by offering samples to passers-by. This will make for a great opener, engaging them in your product is a good way of starting a conversation and helping you determine whether this is a good opportunity. Simply asking, “Can I help you?” is very off-putting in comparison. If you’re not able to sample your product, this is your opportunity to get creative! For example, you can create an immersive experience by using VR. Knowledgeable, friendly and inviting Brand Ambassadors are a great asset and can act as an extension of your team. They will engage with passers-by, attracting them to the stand and educating them on your brand, helping you make contacts. By utilising Brand Ambassadors, you can spend your time efficiently, closing sales rather than sampling to everyone. A show is a hub of engaged and interested parties looking for new products, so it is crucial you spend your time effectively. 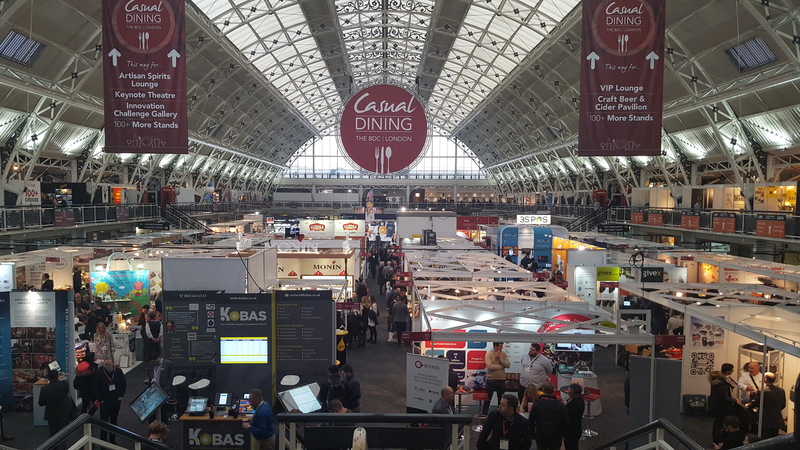 Now that you have got a great team in place, samples abound, and an attractive stand, you should think about if there are additional elements you can add to make your show experience even more engaging and memorable for the consumer. There are a variety of ways you can do this. Running a competition to win a prize will excite people and is a great way to capture data. Adding a gamification element is especially effective as a fun learning tool if you are trying to educate consumers on your product. These additional elements will also help increase dwell time at the stand, as well as making the brand even more memorable. Exhibitions are a great way of staying up to date with trends, seeing what your competitors are doing, making all important contacts and boosting your brand. If you would like to learn more about how Highjam can help you, please email hello@highjam.co.uk or give us a call on 0207 407 8913.